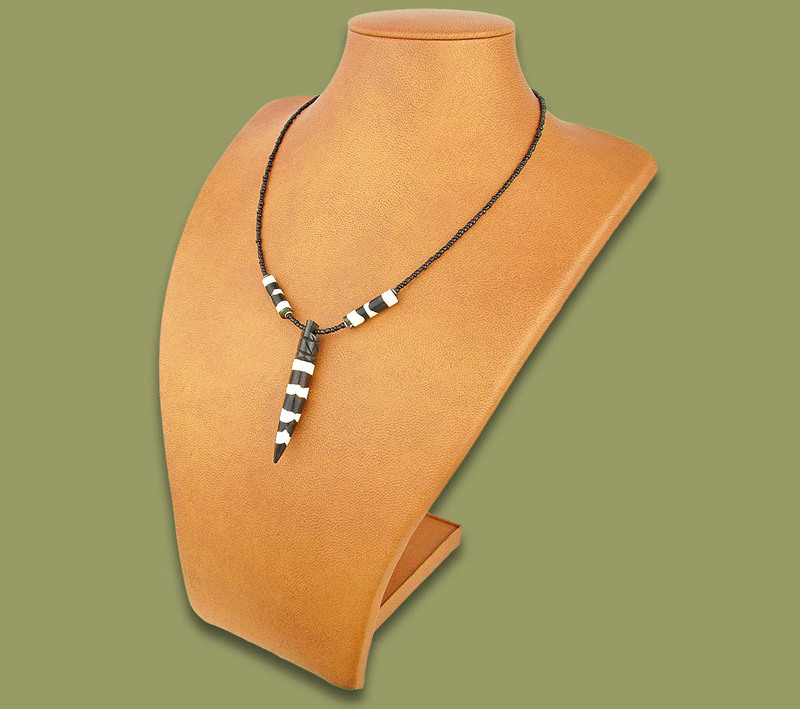 African Bone Necklace Tusk White Brown. Hand made from polished cow bone. Packaged in cellophane with a header card.